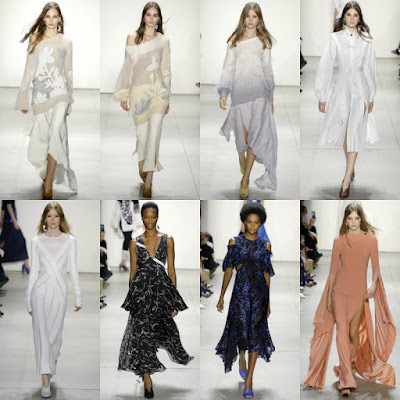 New York Fashion Week for the Spring/Summer 2017 season wrapped up last Thursday. This round of shows had its share of colorful designs, model diversity, and of course controversy. We will touch on those topics later in this post. For now, here are some of the collections from the week. One of my favorite part besides the collection itself are the high ponytails instead the usual “wet beach hair. 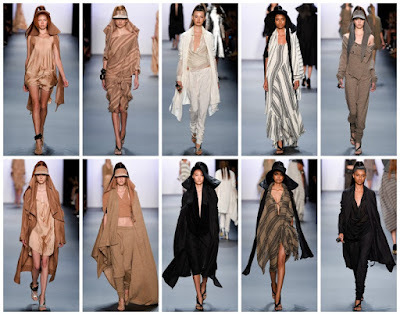 This collection has received many rave reviews for many fashion professionals and it is easy to see why. 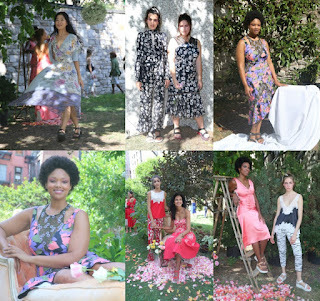 The designer featured five prominent plus-size models Precious Lee (bottom row Fourth image), Sabina Karlsson(top row Fourth image), Marquita Pring (bottom row Second Image from left), Georgia Pratt and Alessandra Garcia Lorido. Siriano also featured several models of color in various shades. This designer definitely gets why representation is so important. Of course, I couldn’t skip over my Alma Mater. Each season the students never disappoint. 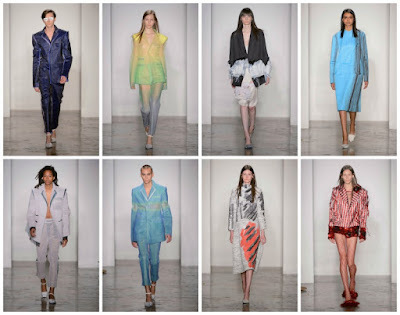 This collection marks the designer’s launch of offering extended sizes. We also spotted Plus Size Model Anita Marshall & SNL Cast Member Sasheer Zamata. I really enjoyed the retro vibe to this collection. The design duo has been leaving their mark on the label in the time since the exit of Karan. Fashion insiders were also curious to see how this collection due to the recent sale of the company by LVMH to G-III Apparel Group Ltd. back in July. You couldn’t miss the overall feminine theme of this collection. This is not a bad thing at all. 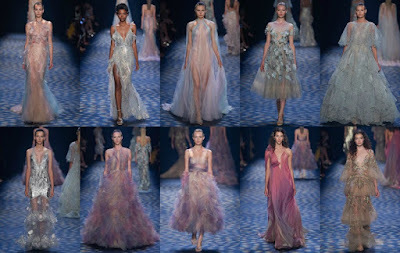 I especially loved the muted pastel looks. 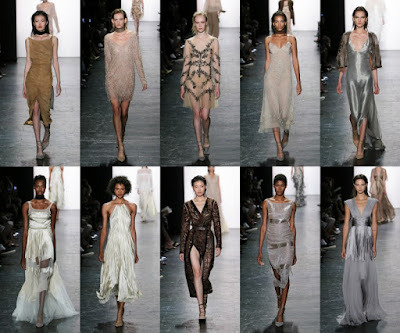 My personal favorites are the one features layers of tulle and the Grecian gown. Colorful club fashion aside this particular collection came with a bit of controversy when it came to the choice of hairstyle. The reaction to the “dreadlocks” have been mixed depending on who you asked. 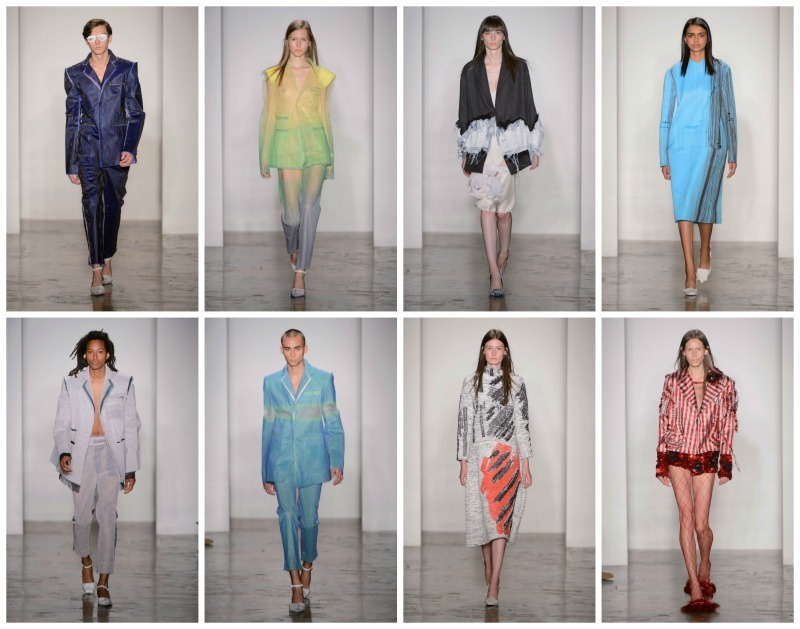 The designer has since offered an apology after his original response to criticism. Controversy aside I enjoy the designs. No comment when it comes to the hairstyle. This label happens to be a new one for me. One of the highlights for me would have to the wide leg jumpsuit. 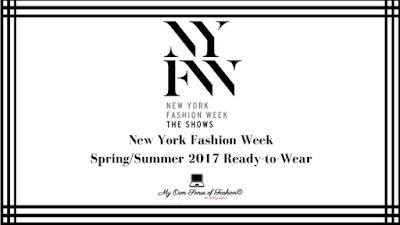 We close out for New York Fashion Week until February & anticipate what’s in store for the Fall/Winter season. This New York Fashion Week is starting to show that industry is addressing more of its issues predominantly when it comes to inclusion particular when it comes to race and plus size fashion. Progress is being made, but there is still work to Stay tuned to see what trends London had in store. We also have another New York Fashion Event this year with New York International Bridal Week in October. 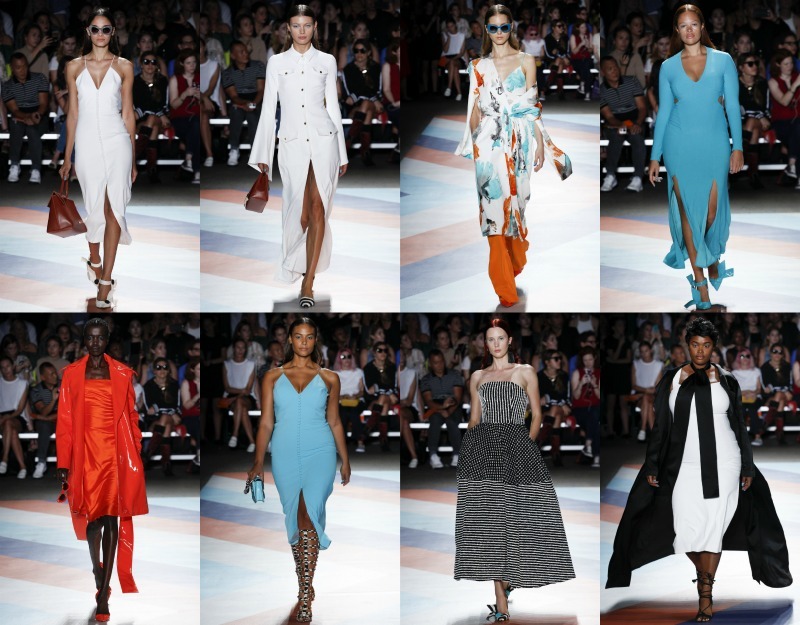 What were some of our favorite collections from New York Fashion Week? Let us know in the comments below. 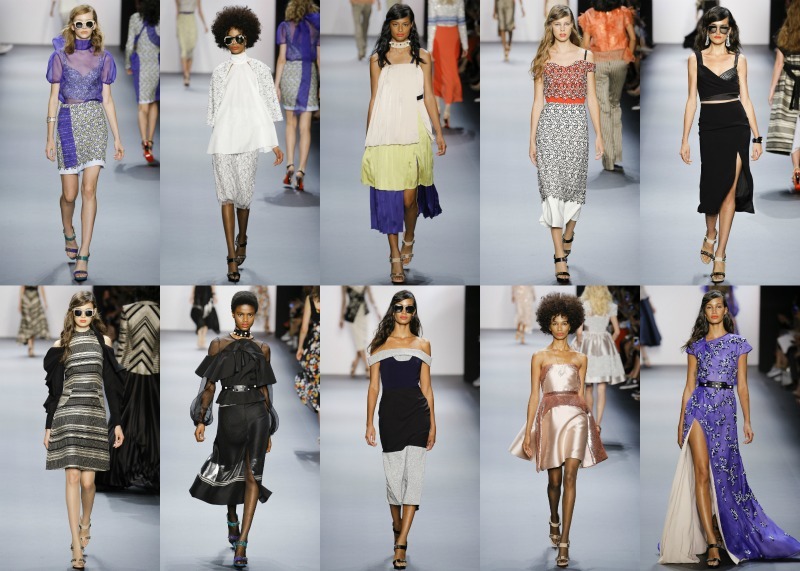 All images appear courtesy of Vogue Runway , The Cut , WWD and Now Fashion.